Get a kids’ pedal-powered go-kart! With adjustable seats, fenders, chain guard and a working handbrake. Plus a forward and reverse gear lever! 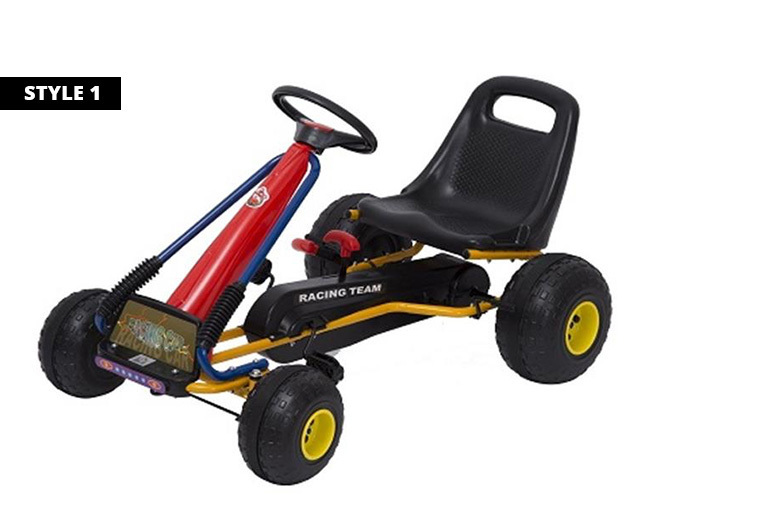 Medium-sized go-kart: L 89cm x W 52cm x H 51cm. Large: L 96cm x W 68cm x H 56cm.